In 2004 we constructed our first bamboo structure at Kottayam, Kerala. The construction of this carpentry workshop was done by trainees, attending an advanced training course in practical (bamboo) construction skills. Since 2008, VINJA is located 35 km from Bangalore. We design, engineer and construct regular rcc, brick and steel structures. 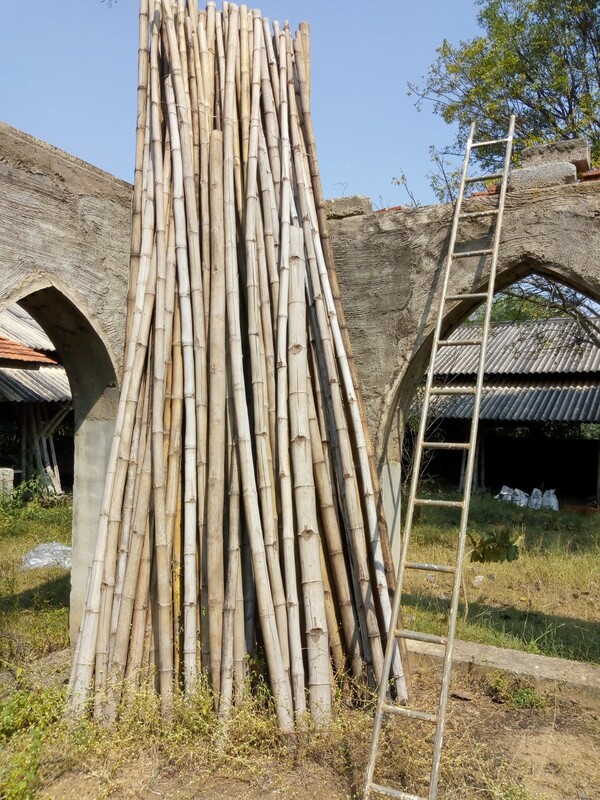 Next to regular construction, we are experienced in using bamboo, timberand (rammed) earth as building materials, which provides more optionsin choosing basic construction materials, as well as more flexibility in design. Various materials can be applied in design and engineering. We specialise in (larger) bamboo roof structures, but smaller structures are, of course, possible. In combination, for example, with brick,rammed earth, timber, rcc etc. For further information about our activities, please feel free to contactus through our website; www.vinja.org conctact button. Please state your full contact details, in order to contact you directly.